Google did a couple updates to their iOS Google+ app. You are now able to start a Hangout directly from a Message and a change to the flow of your Photos area. We not seeing anything around resolution or uploading of photos, but the UI changes seem to point to quicker access to a general photos view. 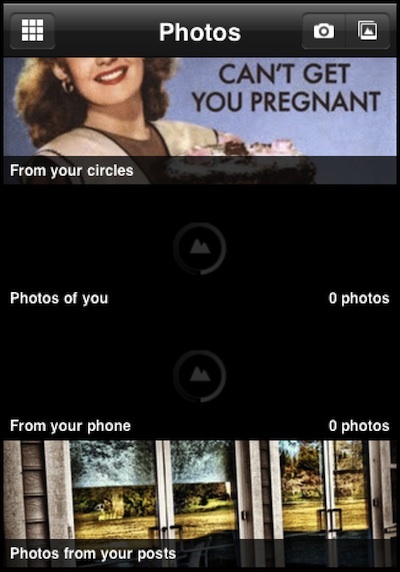 Previously, from the home area of the Google+ app, you would choose the Photos icon to gain access to a view of the photo groupings. Grom the overview page of your Google+ Album groups, choosing one took you to sub albums inside of that category. This path matches the path on your desktop Google+ flow. Tapping on a Album took you to framed photos, very reminiscent of the paper area around a Polaroid picture. These could be scrolled through, and selected for more information on the particular photo on Google+. 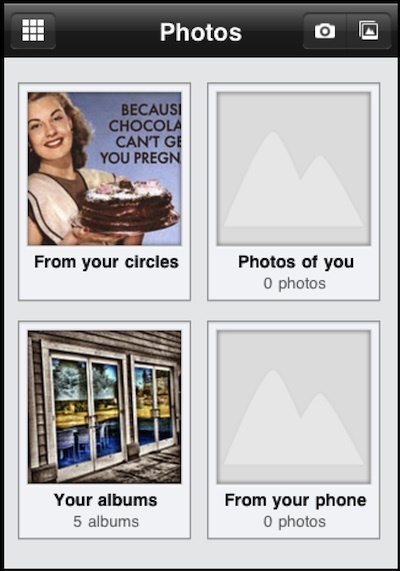 Now, choosing the Photos area from the Google+ Home area takes you directly to a wide scrolling view of your photo areas. Same grouping as before with a change to the square images going wide and a move from the well known Google white areas to a black framing. 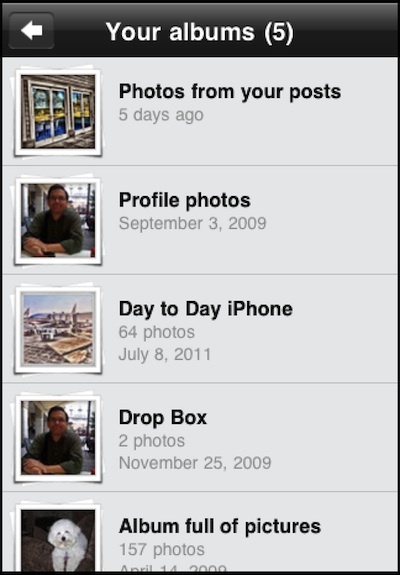 Choosing an area takes you to the overview of photos within that folder. 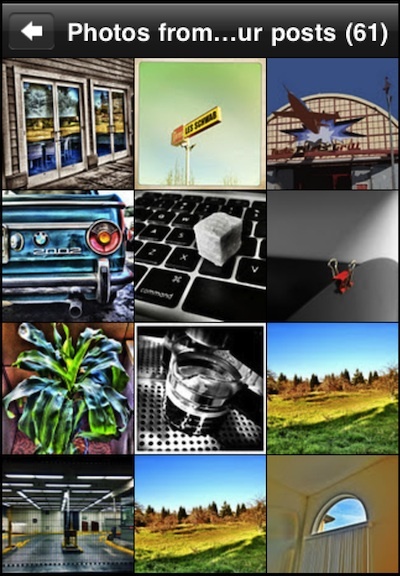 Google+ has removed the photo framing in favor of a solid group of photos to scroll through. 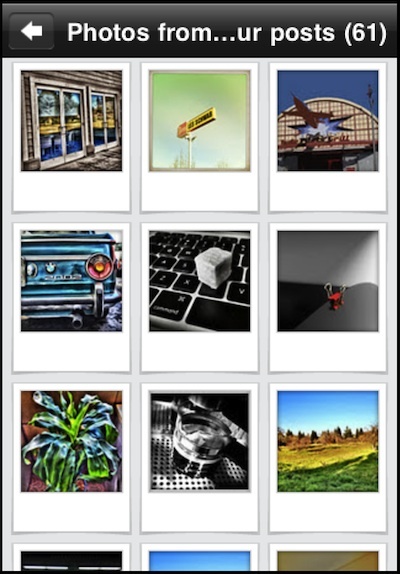 Choosing a image allows a view of comments and ‘+’ rankings.